Dr. Sequeira is a Licensed Psychologist (#30282). She received her B.A. in Psychology and History from The University of Alabama and her M.Ed. in Educational Psychology and Ph.D. in Counseling Psychology from Texas A&M University. She completed her pre-doctoral internship at Cherokee Health Systems in Knoxville, Tennessee where she specialized in treating individuals with mental health conditions, primarily anxiety and depression related disorders, in a primary and specialty care setting. 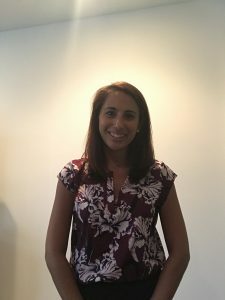 Dr. Sequeira completed her post-doctoral fellowship at the OCD and Anxiety Program of Southern California. Throughout her graduate training, Dr. Sequeira has worked in a variety of treatment settings, including a Federally Qualified Health Center, a community mental health center, a private practice, a hospital setting, a Child Advocacy Center, a tele-health counseling center, an autism clinic, a career center, and a primary care setting. She has experience working with a diverse population and in using evidence-based treatments such as cognitive behavioral therapy. Dr. Sequeira is fluent in Spanish and provides treatment in both English and Spanish. She has expertise in working with children (ages 6-10), adolescents (ages 10-19), and adults (ages 20+) and in treating depression, OCD, OCD-related disorders, and anxiety disorders. Dr. Sequeira has presented findings from her research and clinical experiences at the American Psychological Association, International OCD Foundation, and OCD Southern California annual conferences.